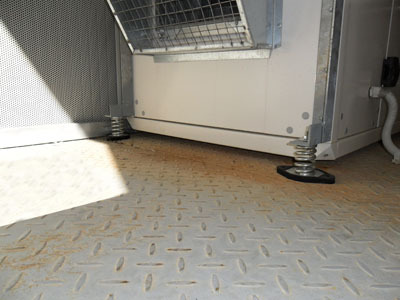 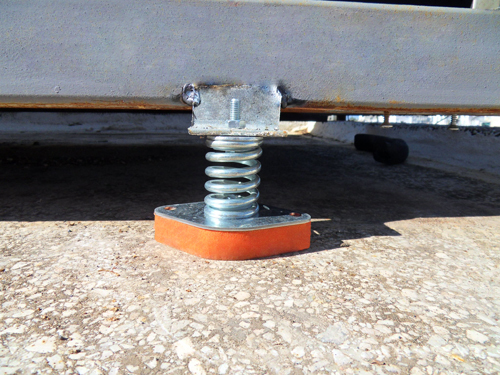 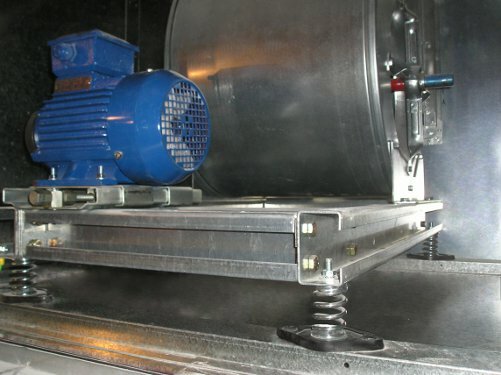 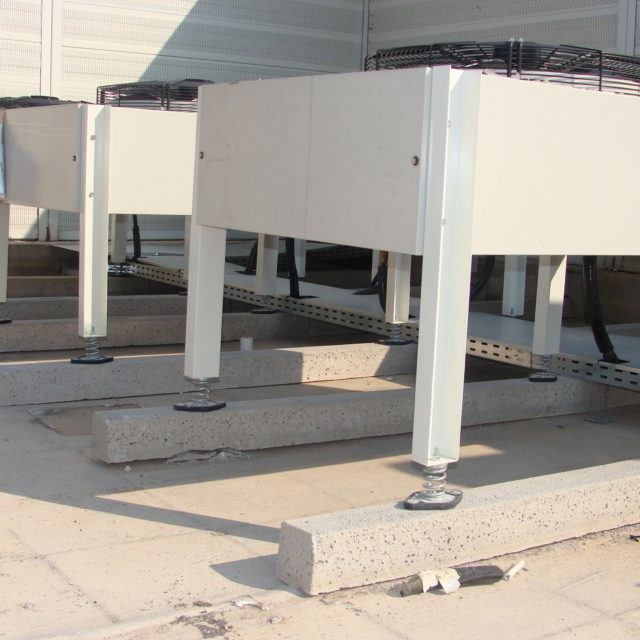 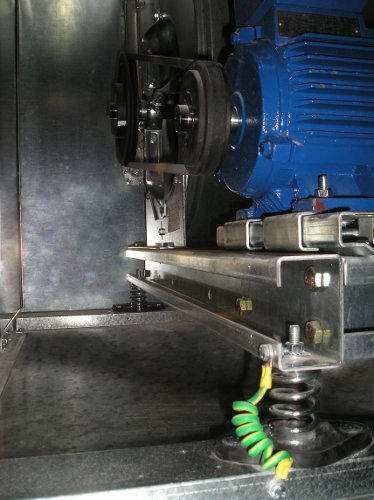 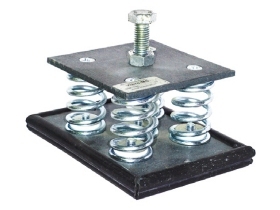 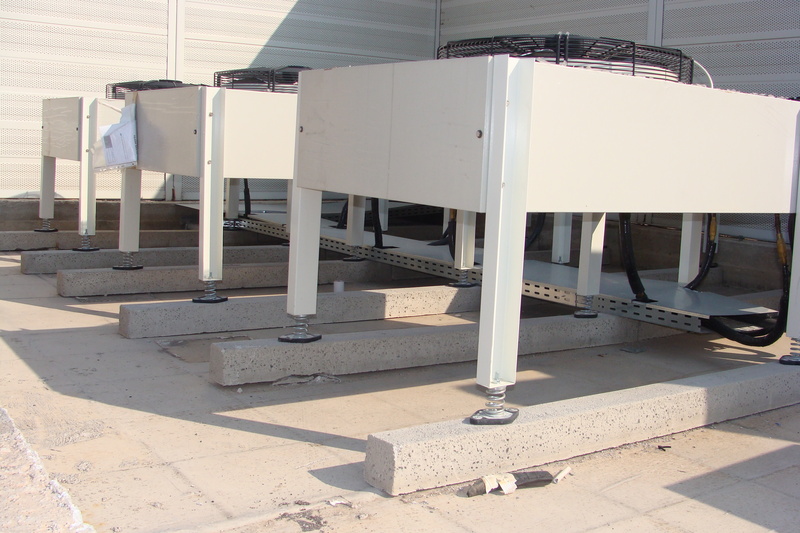 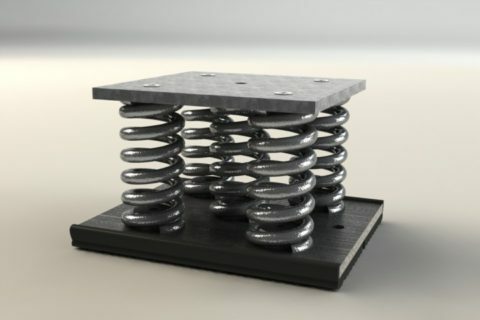 At their base, the antivibration spring mounts Vibro-AM have a metal plate with adequate thickness and a special elastic profile, resistant to outdoor conditions, thus offering better isolation efficiency at high frequencies. 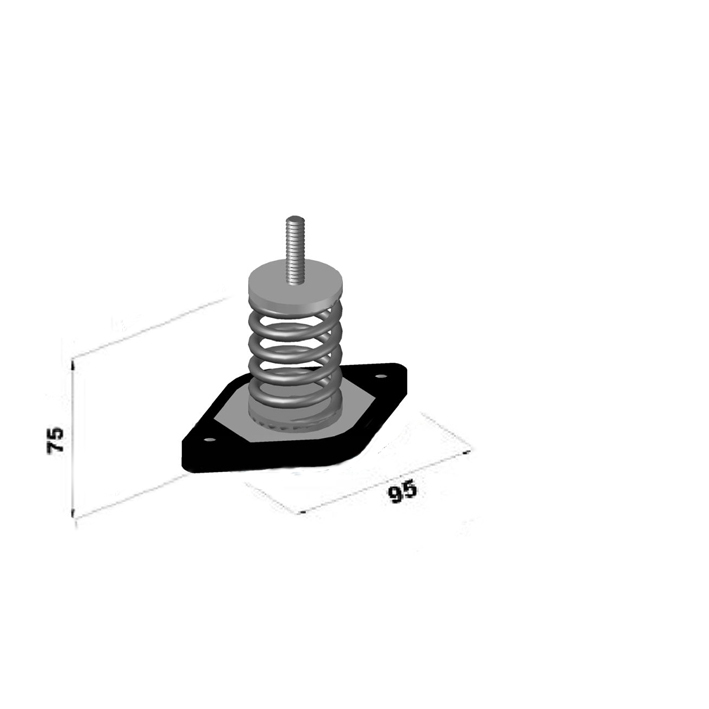 Both the metal plate and the elastic profile have two holes for fixing with pass-through bolts at the base of the spring mount. 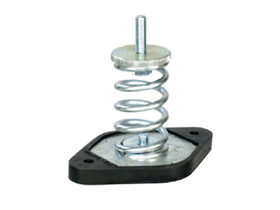 At the upper part of the spring mount there is a M8 bolt for adjusting them to the machinery. 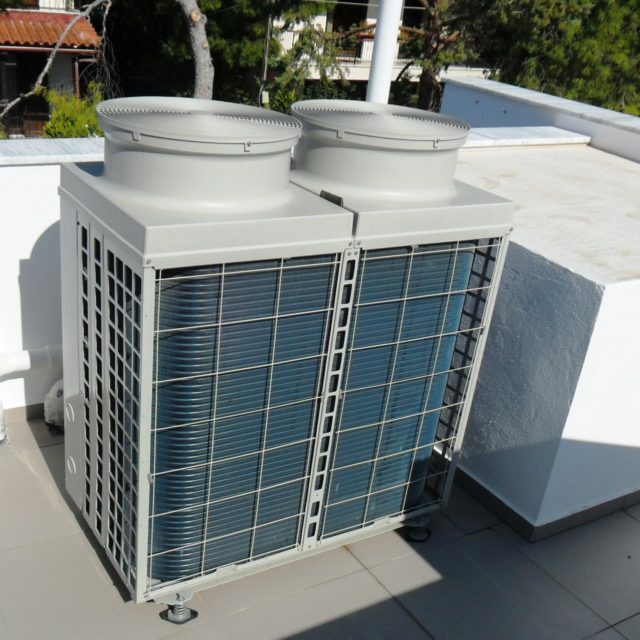 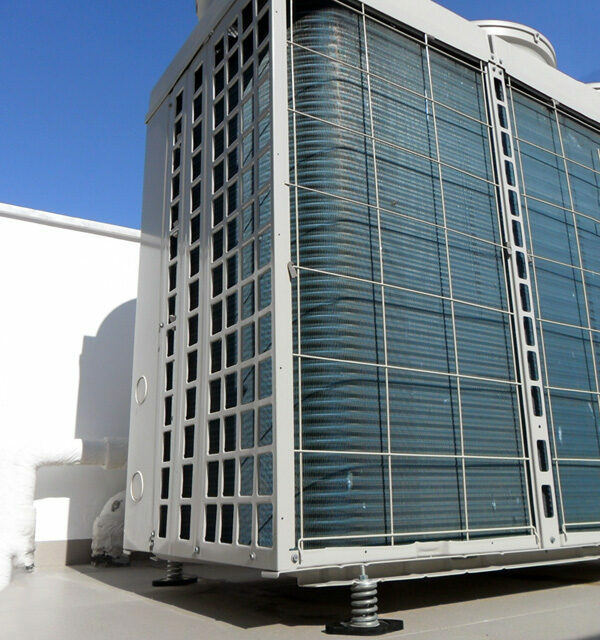 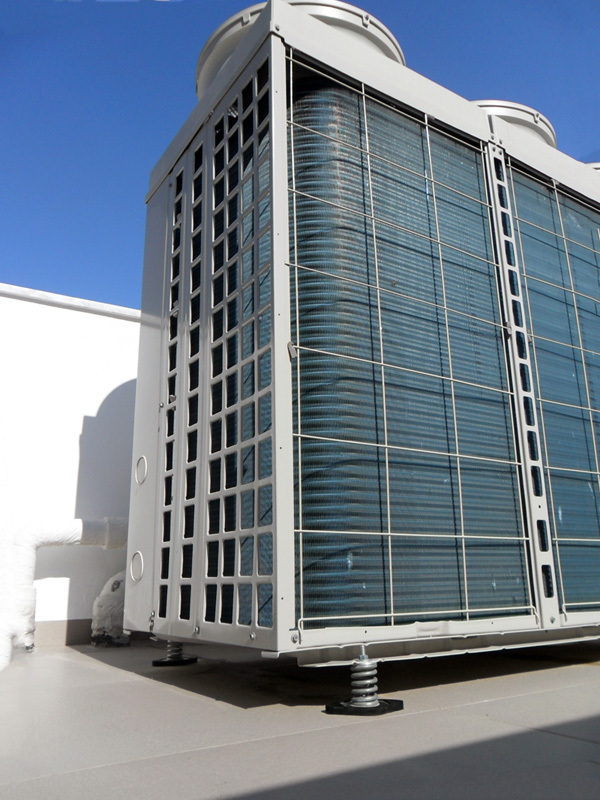 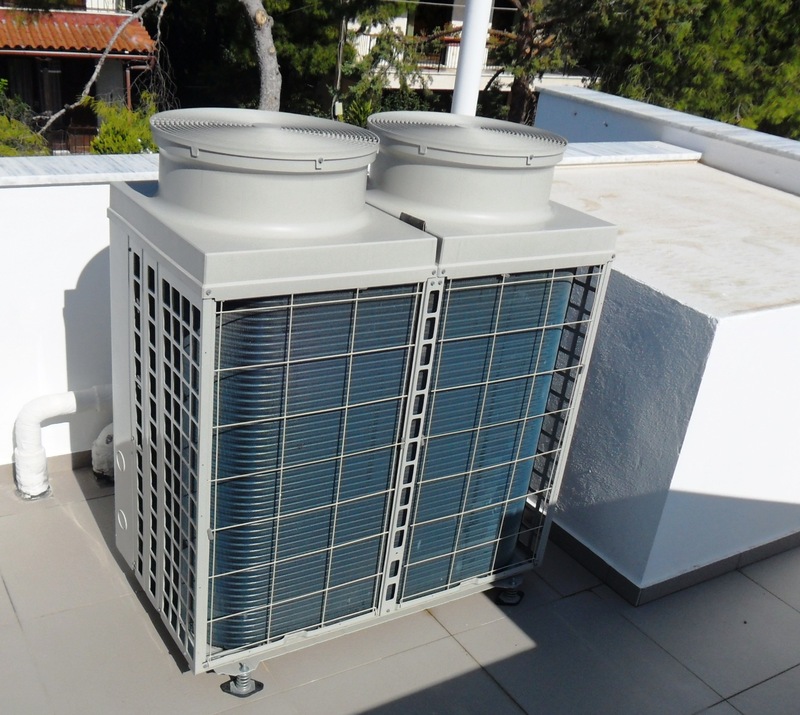 The spring complies with the requirements of ISO EN 10270. 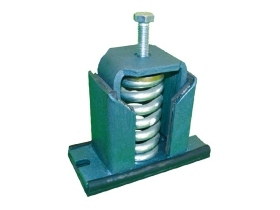 Antivibration spring mounts Vibro-AM are used for low frequency vibration control (slow speed rotation 400 RPM upwards) such as compressors, two-cycle engines, coolers, air handling units etc.